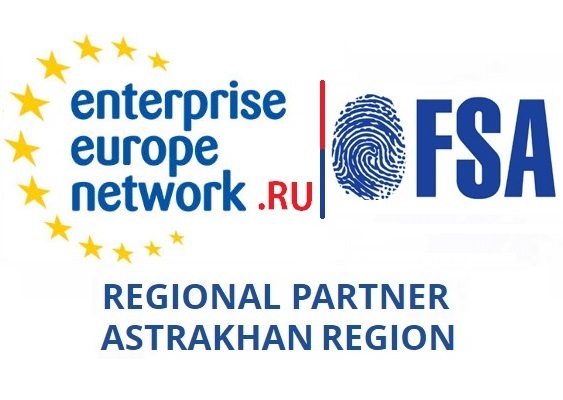 FSA company is a participant of the European platform for SME cooperation - "Enterprise Europe Network" (EEN-ru). Since 2015 the "FSA" company cooperates with the Regional Integrated Center of Astrakhan Region (www.astra-eenrurp.ru) - one of the national "contact points" EEN in Russia. RIC is the regional partner Consortium of Enterprise Europe Network - Russia (EEN - Ru), and performs the functions of confirming (validation) of the russian companies, for their inclusion in the program and of facilitation the search for European partners. EEN is the network to support entrepreneurship and innovation brings together more than 250 regional consortia in 60 countries around the world, providing integrated services to enterprises in the area of ​​support for internationalization and business development and innovation.